Neither Philip Kingsley Products Limited and/or the Trichological Clinic limited, as well as directors of any and all companies associated directly or indirectly with this website, will be responsible for any damage caused during the use or misuse of the website or from any information contained therein. All material and information presented by the Philip Kingsley Products website is intended to be used for informational purposes only. The statements and products are not intended to diagnose, treat, cure or prevent any condition or disease. Please consult with your own doctor or health care practitioner regarding the suggestions and recommendations made on this website. 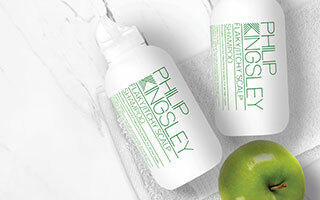 The Philip Kingsley Products website is owned and operated by Philip Kingsley Products Limited. 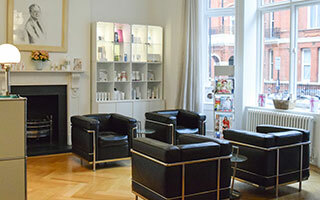 Our address is 54 Green Street London W1K 6RU. Visiting and or placing an order for goods on the Philip Kingsley Products website indicates your acceptance of our terms and conditions. All communication to you from the Philip Kingsley Products website will be addressed to your email address as supplied when you place or attempt to place an order. If you do not receive a confirmation email after placing an order please contact us immediately. Philip Kingsley Products Limited will not be responsible if you should fail to receive emails sent to the email address you provide when you attempt to place an order. When you place an order you will receive an email from us confirming receipt of your order. Please check that all details are correct. If they are not, please contact us immediately. Whilst all items are offered for sale in good faith, occasionally for reasons beyond our control we may not be able to fulfill your order. Therefore, a sale agreement will only exist between yourself and Philip Kingsley Products limited when you receive an email confirming your order has been accepted. In accordance with Consumer Protection regulations relating to distance selling you may cancel your order up to 7 days from the day after you receive your goods. Philip Kingsley Products Limited will be happy to accept the return of unopened saleable goods if so required. See our Returns Policy for full details. You undertake not to use the website in any way that causes, or is likely to cause, the site or access to the site to be interrupted, damaged, or impaired in any way. You must not use the site for any purpose that could damage the name of Philip Kingsley Products Limited or any associated company or business or director or any goodwill attached to same. You must not use the website for criminal, fraudulent or illegal activity (including breaches of copyright, trademarks, patents and/or privacy) or in any manner which would cause harm or distress to any third party. All payments must be with your own credit card and with adequate funds to make payment. Fraudulent use of credit cards will be reported to the relevant authorities. This website and all of its content is protected by UK and International Copyright law. Permission is granted to electronically copy and print only those areas of the site so required in the process of using the site as a shopping resource. Copying, modifying, or distributing any part or content of the site for any other reason, without prior written permission from Philip Kingsley Products Limited, is expressly prohibited. Neither Philip Kingsley Products Limited or any associated company, including directors and staff, will be responsible for any damage caused during the use or misuse of the website or from any information contained therein. 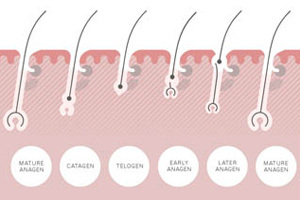 All material and information presented by the Philip Kingsley Products website is intended to be used for educational or informational purposes only. The statements and products are not intended to diagnose, treat, cure or prevent any condition or disease. Please consult with your own doctor or health care practitioner regarding the suggestions and recommendations made at philipkingsley.co.uk and philipkingsley.com The Philip Kingsley Products website is a shopping resource site operated by Philip Kingsley Products Limited. This site is provided on an "as is" basis and Philip Kingsley Products Limited or any associated parties make no express or implied warranties of any kind relating to the service, products or information provided. Whilst every effort is made to maintain correct and current information on the site, typographical or omission errors may occur in prices, descriptive copy or photography. Philip Kingsley Products Limited reserves the right to correct these errors or withdraw the offer and change or modify any content or terms and conditions at any time. *T&Cs:Offer valid from 11th - 23rd April 2019 inclusive. No cash equivalent. Whilst stocks last. The Referrer is offered a reward for each friend who orders for the first time. The Referrer will not be offered a reward if the friend they have referred has previously purchased from Philip Kingsley. For the referral to qualify for the reward the referred friend must be a new customer to Philip Kingsley and over the age of 18 and the Referred friend must meet the conditions of their reward. There is no requirement for the referrer to be an existing Philip Kingsley customer. Rewards will be cumulative and so if multiple qualifying referrals are made to Philip Kingsley, multiple rewards will be delivered to the referrer, subject to a limit. A Referrer may not earn more than 5 within any 24 hour period or 25 within last 12 months or 1500 GBP of reward value within last 12 months. Philip Kingsley reserves the right to refuse the issue of any reward to any Referred Friend or Referrer at any time. Philip Kingsley reserves the right to vary any and all elements of this offer at any time without notice. The Referred Friend is offered a reward when they place their first order. The Referred Friend will not be offered a reward if they have previously purchased from Philip Kingsley. To qualify for the reward, the Referred Friend must be a new customer to Philip Kingsley and over the age of 18. Prize Draw open to UK and US residents aged 18 years or over only, excluding employees of the Promoter, their immediate families, and anyone else professionally connected with the Prize Draw. • Prize draw in relation Philip Kingsley Pomegranate and Cassis Elasticizer opens for entries via Instagram @philip_kingsley Thursday 11th April 2019. • Prize Draw closes for entries Monday 15th April 2019. • The draw and winner announcement will take place on Monday 15th April 2019. • 15 UK residents and 15 US will be selected as prize winners. • The winner will be revealed Monday 15th April 2019. • Entries on Facebook will not be counted. Entries must be placed on Instagram only.